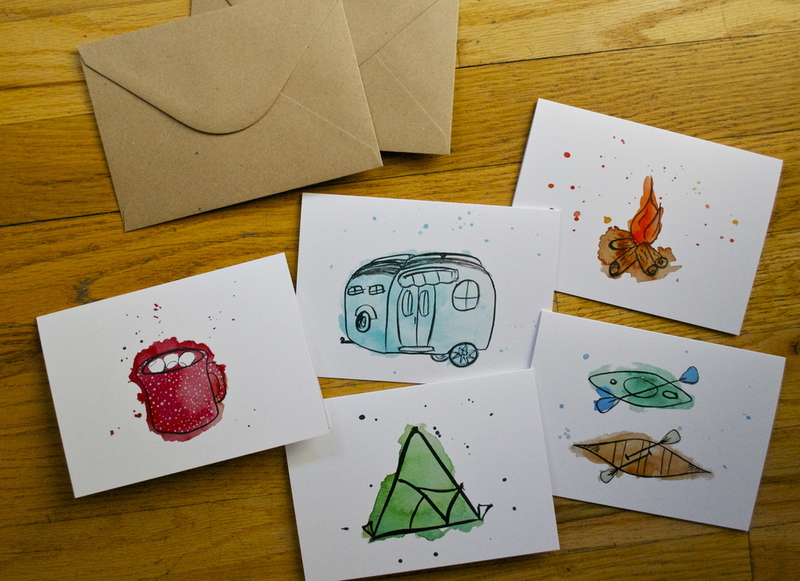 I'm super stoked about my Camping Coffee and Outdoor Adventures card sets that just got added to the shop! I have been so homesick for Colorado lately. I miss the air. I miss the trees. I miss camping, skiing, and exploring the wild. I think because of this longing I have also been really inspired by all the camping and outdoor outfitter Instagram accounts I follow. It only made sense that I connect to what drives me and paint some camping and outdoorsy themed cards! I must say they make an excellent gift or stocking stuffer with the holidays approaching...stop on by and pick up your own! ....Oh yea, it's Friday! Which means I've rounded up a few good links to check out across the interwebs. Happy Friday! I Hope you guys have a great weekend! Seriously, can Jennifer Lawrence PLEASE BE MY BEST FRIEND I'M NOT JOKING. Cats always make me laugh. This physically hurts me to hear but it's so friggin' hilarious at the same time! A cute, happy bouncy dog. It's not new by any means, but this is so cool I couldn't help but post. Literally every.single.post by this beautiful blogger (who is back after an extended break! hooray!!) is fantastic. This recent article particularly struck me. Take a bit and spend some time exploring her blog. Everything is so honest, so authentic and well spoken. love.